"Sampath Speaking" - the thoughts of an Insurer from Thiruvallikkeni: remembering devastation by 'fat boy' ~ this day 73 years ago !! remembering devastation by 'fat boy' ~ this day 73 years ago !! One may not readily remember – Charles W Sweeny and those who know would not like to remember - Major General Charles W. Sweeney, an officer in the United States Army Air Forces during World War II and the pilot who flew Bockscar carrying the Fat Man atomic bomb to the Japanese city of Nagasaki on August 9, 1945. (this day 73 years ago !) A small fishing village set in a secluded harbour, Nagasaki had little historical significance until contact with Portuguese explorers in 1543. An early visitor was Fernão Mendes Pinto, who came from Sagres on a Portuguese ship which landed nearby in Tanegashima – this day changed the lives of its citizens – sadly .. ..
On August 6, 1945, the US B-29 bomber Enola Gay dropped the 20-kiloton atomic bomb "Little Boy," which devastated most of Hiroshima and killed 140,000 people. Just a few days later, on August 9, 1945, another US bomber dropped the 21-kiloton atomic bomb "Fat Man" on Nagasaki, killing approximately 70,000 people and leaving thousands of others injured. The design for the first atomic bomb was frighteningly simple: One lump of a special kind of uranium, the projectile, was fired at a very high speed into another lump of that same rare uranium, the target. When the two collided, they began a nuclear chain reaction, and it was only a tiny fraction of a second before the bomb exploded, forever splitting history between the time before the atomic bomb and the time after. The casualties would have been greater if the bomb hadn't missed its original target due to weather conditions. The number of deaths and injuries are mind-boggling! "At first, the American people were filled with joy and relief that the war was over not long after the Nagasaki bomb, but as a book called ‘By The Bomb's Early Light' by Paul Boyer explained, that joy gave into fear because the American people realized within weeks, if not days, that if we can do that to somebody else, somebody else can do that to us. And sure enough, Russia had the bomb within four years"
During the final stage of World War II, the United States detonated two nuclear weapons over the Japanese cities of Hiroshima and Nagasaki on August 6 and 9, 1945, respectively. The United States dropped the bombs after obtaining the consent of the United Kingdom, as required by the Quebec Agreement. The two bombings killed thousands people, most of whom were civilians. They remain the only use of nuclear weapons in the history of warfare. In the final year of the war, the Allies prepared for what was anticipated to be a very costly invasion of the Japanese mainland. This undertaking was preceded by a conventional and firebombing campaign that destroyed 67 Japanese cities. The war in Europe had concluded when Germany signed its instrument of surrender on May 8, 1945. As the Allies turned their full attention to the Pacific War, the Japanese faced the same fate. By August 1945, the Allies' Manhattan Project had produced two types of atomic bombs, and the 509th Composite Group of the United States Army Air Forces (USAAF) was equipped with the specialized Silverplate version of the Boeing B-29 Superfortress that could deliver them from Tinian in the Mariana Islands. Orders for atomic bombs to be used on four Japanese cities were issued on July 25. The bombs over Hiroshima & Nagasaki, immediately devastated their targets. Over the next two to four months, the acute effects of the atomic bombings killed 90,000–146,000 people in Hiroshima and 39,000–80,000 people in Nagasaki; roughly half of the deaths in each city occurred on the first day. Large numbers of people continued to die from the effects of burns, radiation sickness, and other injuries, compounded by illness and malnutrition, for many months afterward. In both cities, most of the dead were civilians, although Hiroshima had a sizable military garrison. Fat Man" was the codename for the atomic bomb that was detonated over the Japanese city of Nagasaki by the United States on 9 August 1945. 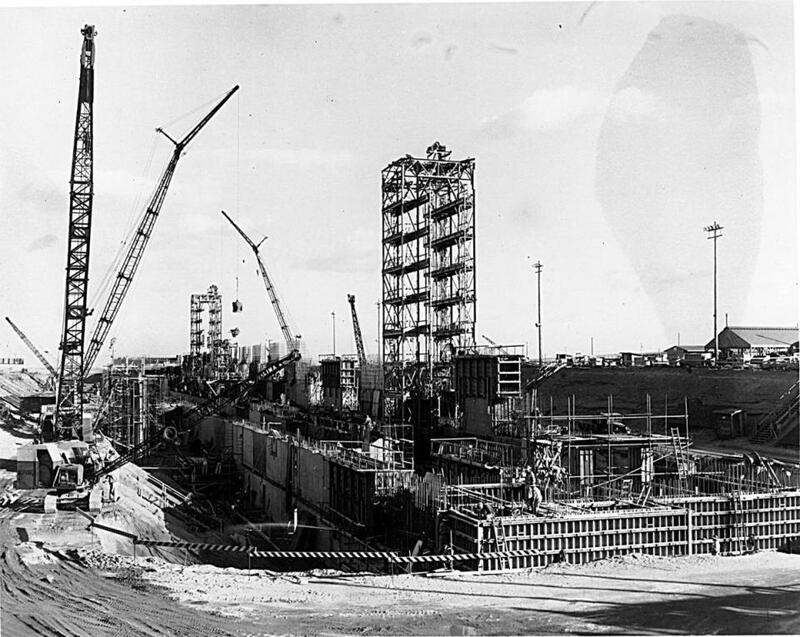 It was the second of the only two nuclear weapons ever used in warfare, the first being Little Boy, and its detonation marked the third-ever man-made nuclear explosion in history. It was built by scientists and engineers at Los Alamos Laboratory using plutonium from the Hanford Site and dropped from the Boeing B-29 Superfortress Bockscar. For the Fat Man mission, Bockscar was piloted by Major Charles W. Sweeney. 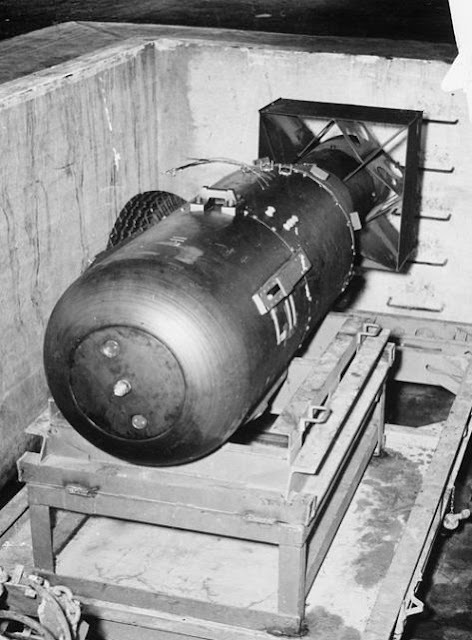 The name Fat Man refers generically to the early design of the bomb, because it had a wide, round shape. It was also known as the Mark III. Fat Man was an implosion-type nuclear weapon with a solid plutonium core. Two more Fat Man bombs were detonated during the Operation Crossroads nuclear tests at Bikini Atoll in 1946. Some 120 Fat Man units were produced between 1947 and 1949, when it was superseded by the Mark 4 nuclear bomb. The Fat Man was retired in 1950. The original target for the bomb was the city of Kokura, but it was found to be obscured by clouds and drifting smoke from fires started by a major firebombing raid by 224 B-29s on nearby Yahata the previous day. This covered 70% of the area over Kokura, obscuring the aiming point. Three bomb runs were made over the next 50 minutes, burning fuel and repeatedly exposing the aircraft to the heavy defenses of Yawata, but the bombardier was unable to drop visually. Major General Charles W. Sweeney was the pilot who flew Bockscar carrying the Fat Man atomic bomb to the Japanese city of Nagasaki on August 9, 1945. Separating from active duty at the end of World War II, he later became an officer in the Massachusetts Air National Guard as the Army Air Forces transitioned to an independent U.S. Air Force, eventually rising to the rank of Major General. That same morning, on the day of the mission, the ground crew notified Sweeney that a faulty fuel transfer pump made it impossible to utilize some 625 gallons of fuel in the tail, but Sweeney, as aircraft commander, elected to proceed with the mission. Paul Warfield Tibbets Jr. a brigadier general in the United States Air Force was the pilot who flew the Enola Gay (named after his mother) when it dropped Little Boy, the first of two atomic bombs used in warfare, on the Japanese city of Hiroshima. Japan was devastated, thousands killed ~ today Time writes that things are very different. Eighty-four percent of Japanese people feel “close” to the U.S., according to the Japanese government’s annual Cabinet Office poll, and 87% of Americans say they have a favorable view of Japan, according to a Gallup poll. The first phase was the United States’ roughly seven-year occupation of Japan, which began following the surrender. When Japan got a new constitution, which took effect on May 3, 1947, its terms came largely courtesy of American influence, specifically that of U.S. General Douglas MacArthur and his staff. The American occupation of Japan ended in 1952, after the U.S. and Japan signed a security treaty for a “peace of reconciliation” in San Francisco in 1951. Meanwhile, a historic display of reconciliation came in 2016, when President Barack Obama became the first U.S. President to visit Hiroshima, and Japanese Prime Minister Shinzo Abe visited Pearl Harbor seven months later. “The two leaders’ visit will showcase the power of reconciliation that has turned former adversaries into the closest of allies,” the White House said in a statement.